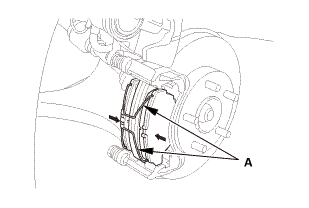 Remove the banjo bolt (A), and disconnect the brake hose (B) from the caliper body. 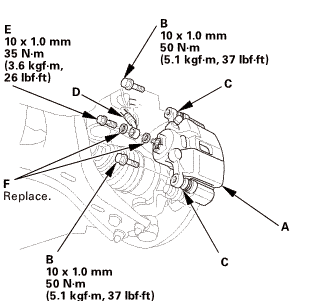 Remove the flange bolts (C) while holding respective caliper pins (D) with a wrench. 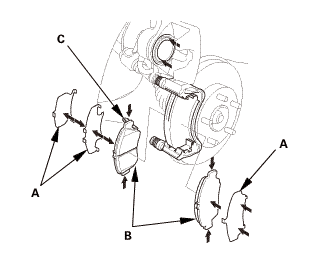 Remove the caliper body (E). 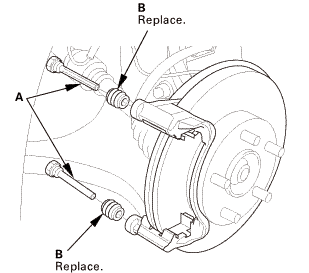 NOTE: Be careful when removing the caliper body or the spring could pop out of position. 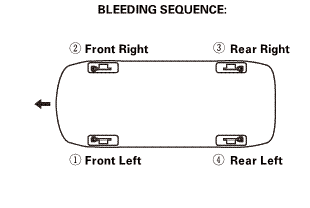 Remove the pad return springs (A). 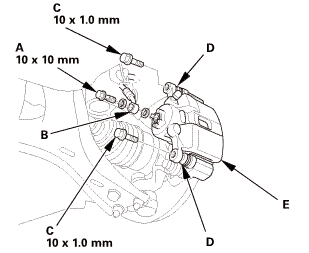 Apply a thin coat of Honda caliper grease (P/N 08C30-B0224M) to the caliper pins (A) and the new pin boots (B). 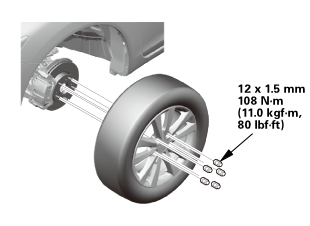 Make sure that the pin boots are properly positioned into the grooves (C) of the caliper pin and the grooves (D) of the caliper body. 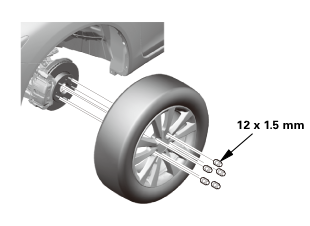 Remove air from the inside of the boots. 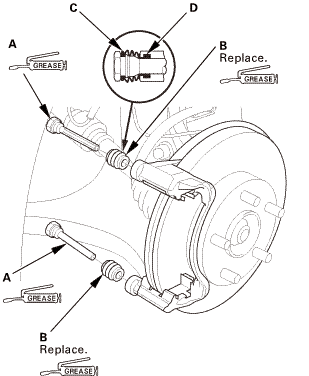 Install the brake pads and pad shims. 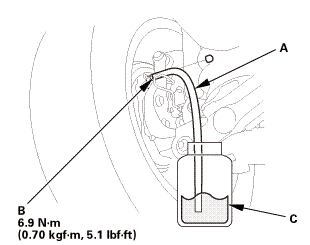 NOTE: Install the brake pad with the wear indicator (C) on the upper inside position. 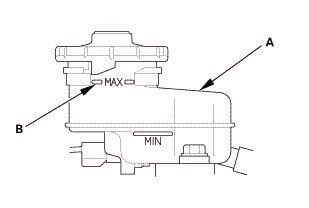 Install the pad return springs (A). 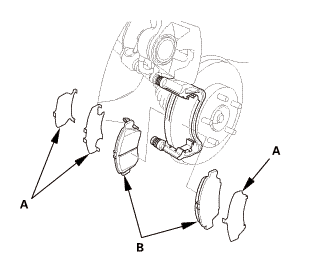 Install the caliper body (A). 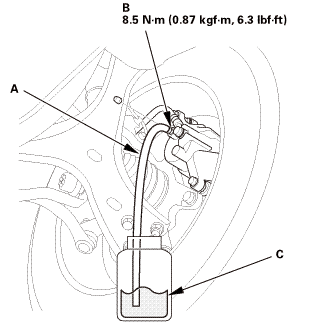 Install the flange bolts (B) while holding respective caliper pins (C) with a wrench. 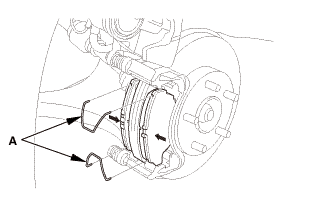 Connect the brake hose (D) to the caliper body with the banjo bolt (E) and new sealing washers (F).